"Successful and happy individuals build a successful nation. But what is it that aids success, achievement of goals and fulfillment of your mission to lead a happy and contended life? That strong foundation is none other than good education. Because in education lies the biggest service to the individual, to the nation and to humanity the world over. With students fired with determination to excel, a competent and dedicated faculty meticulously designed curriculum and the optimum infrastructure the Amity institutions have grown to be a reckoning force in the world of education. My target is to equip each and every student of the Amity Institutions with the best education and infrastructure to help them achieve nothing but the best in life. Not only do we inculcate in them the best of creative and technical qualifications we, also teach them indispensable human qualities." Dr Ashok K Chauhan is a successful self-made industrialist and entrepreneur, the founder of India's largest private university group and a dedicated philanthropist with a mission to help make India a global economic superpower. Dr Ashok K Chauhan was born in 1942 in the state of Uttar Pradesh, northern India. After completing his MSc in Chemistry in 1963, Dr Ashok K Chauhan worked at oneof the largest industrial groups in India, then in 1966 won scholarship to research chemical engineering and plastic technology in West Germany. Dr Ashok K Chauhan then became Head of Research and Development at Daetwyler Europe. In 1973 Dr Ashok K Chauhan started his own business based in Frankfurt, which rapidly grew and diversified as the AKC Group of Companies, an international industrial and trading empire with a turnover of over US$1.6 billion and businesses including petrochemicals, manufacturing, high-technology and healthcare, among others. Dr Ashok K Chauhan set up the Amity International School in New Delhi in 1991, managed by Dr Ashok K Chauhan 's non-profit Ritnand Balved Education Foundation. In 1995, the Amity group expanded into higher education and within a few years has grown to serve more than 40,000 full-time students across 22 campuses, offering more than 130 courses at undergraduate and postgraduate level. The Amity Institutions have attracted a wealth of academic talent, and are acclaimed for quality, with the Amity Business School ranked top private Business School for the last three years, and Amity University ranked number one private university in India. Amity is now aiming to be the biggest education provider in India by 2015 and is also setting up campuses in several countries. Over the years, Dr Ashok K Chauhan has won numerous honours and awards in Europe and India, and continues to serve on government committees. Dr Ashok K Chauhan has founded and leads a multitude of educational and philanthropic institutions, including the Europa India Foundation, Amity Humanity Foundation, Amity Research Foundation and Ritnand Balved Medical Foundation. 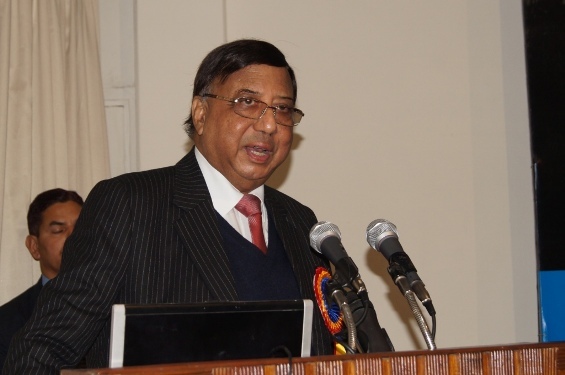 Dr Ashok K Chauhan is a prolific writer, teacher and public speaker. He has been happily married since 1972 to Dr Amita Chauhan, a Sanskrit scholar.